Get ready for another celebrity wedding soon, for Joe Jonas and Sophie Turner have finally sent out their wedding invitations! You might still be hungover from Priyanka Chopra and Nick Jonas' pictures of their super cute pre-wedding festivities, but that's not all news that the Jonas family has to offer. According to a new report, singer Joe Jonas and his fiancee, 'Game of Thrones' star Sophie Turner, may have already sent out their wedding invitations for their nuptials which will be taking place in France during the summer of 2019. Joe and Sophie, who are currently in India for Priyanka and Nick' extravagant wedding celebrations, will tie the knot in Europe next summer. Joe and Sophie, who got engaged in October 2017, also had a European theme at their November 2017 engagement party. Speculations about the couple's wedding dates and destination started doing the rounds by November 24 after life coach Mike Bayer posted a now-deleted Instagram story, which featured the elaborate invitation cards that the couple had sent to their guests. The 'DNCE' frontman and Sophie's wedding invitations featured a white box etched with gold script, that said, “Sophie and Joe 2019 France,” on top of the box. At the time of the couple's fun engagement party, a source reportedly said that the duo “couldn’t have looked happier” while celebrating their special day with guests at the private bash, which was held at the Italian and French Provençal eatery Mamo in New York City. “Sophie and Joe have been to Mamo before and love the new chef there, Salvatore Marcello,” the source said. “They are big fans of his Italian style.” Taking the cue from brother Nick and their new sister-in-law Priyanka, the duo too kept their wedding plans under the wraps, so much so, that Joe's elder brother Kevin himself did not know about their upcoming nuptials. 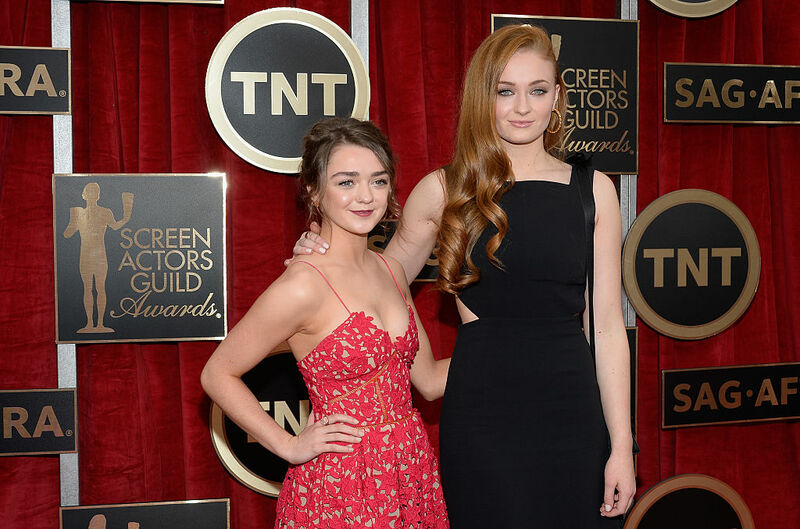 Even though the wedding dates are still a mystery from the couple's side, at least we partially know what the guest list for the wedding will be like, since Sophie's GoT co-star Maisie Williams had openly declared in January that she had already gotten a role as a bridesmaid.